The purpose of the YGG is to support youth gardening across the United States and US Territories. Grant winners receive cash prizes in addition to garden packages containing gardening materials from top horticultural companies, like Sun Gro. As part of the YGG 2019 award package, Sun Gro will be offering a supply of OMRI Listed® Black Gold Natural & Organic Potting Mix to the top five winners. In addition to grant awards, grant recipients automatically become members of the KidsGardening Fellows Program. Fellows get special networking opportunities, a quarterly newsletter, and extra chances to promote their gardening programs, in addition to receiving personalized garden help from KidsGardening horticulturists. 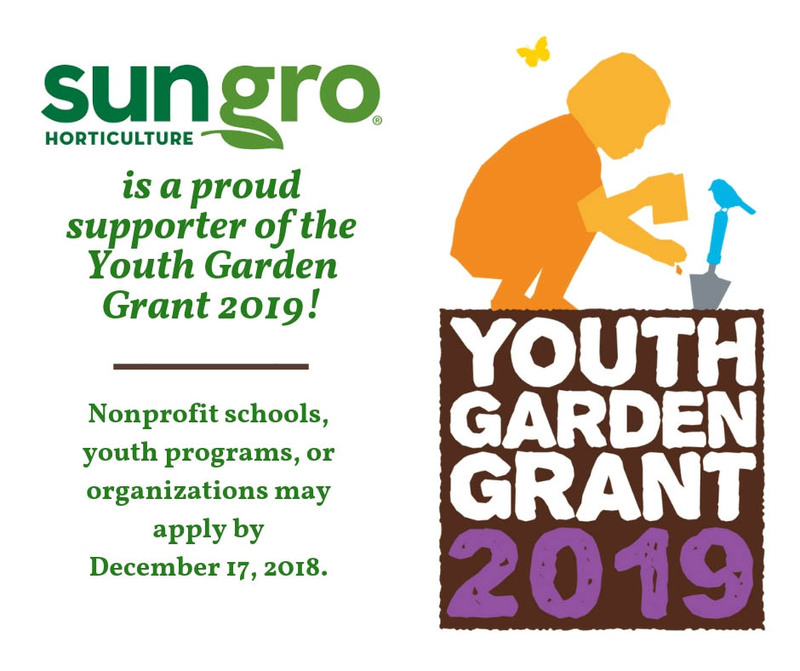 Click to learn more about the Youth Garden Grant 2019 submission process!